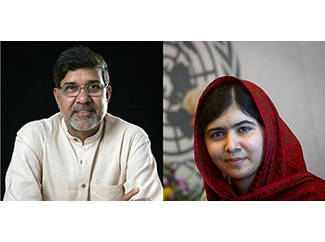 Given the important role that education plays in building peaceful families, communities and nations, it is only fitting that these two be honoured in such a way for their brave and tireless fight for Children’s Rights and Education. The recognition brings the importance of Education as a cornerstone of Children’s Rights to the forefront of our consciousness. Through it, we understand the inevitability that each and every child will have an impact on humanity’s future, and it insists that our collective experience and knowledge be made available to them so that they may be, and do, better than us. The argument in favour of Education is often economic – that educated children become productive adults, and productive adults increase a nation’s wealth. But it is so much more than that. Realising Children’s Rights allows us to dare to dream of a better future and embrace children as the treasure they are. It acknowledges the inherent value of each and every person. Education is the foundation of Children’s Rights and Children’s Rights, the foundation of Human Rights. Both Malala and Kailash have proven their commitment to these inspiring and challenging ideals, and we applaud the Norwegian Nobel Committee for their decision regarding this year’s laureates.